Detectives are investigating after a teenager was shot as he sat in a car on a city street. The victim was in the passenger seat of a silver Ford Mondeo on Pretoria Road, Bordesley Green when he was fired at on the evening of Saturday 13 April. 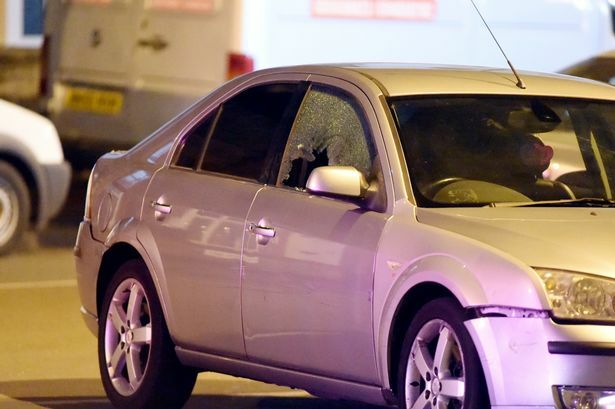 A car pulled up alongside and fired a gun into the Mondeo, shattering the driver’s side window. It is not known if there was anyone else in the vehicle at the time of the shooting, which took place at 8.25pm. The 19-year-old victim didn’t call 999 but instead took himself to hospital. He is being treated for a gunshot wound to the shoulder, which is not thought to be life-threatening. It is believed armed cops swooped to the scene after the shooting. West Midlands Police confirmed on Monday that no arrests had been made and enquiries were continuing. A statement from the force: “Police are investigating after a man was injured when shots were fired from a car in Birmingham at 8.25pm last night (13 April). “Officers were called to Pretoria Road in Bordesley Green, after a silver Ford Mondeo car was fired at by the occupant of another car, causing damage to the windows and injuring a passenger. “The 19-year-old man attended hospital and remains there today being treated for a gunshot wound to the shoulder. Fortunately, the injury is not thought to be life-threatening. “Enquiries continue and anyone with information is urged to contact police via Live Chat at west-midlands.police.uk between 8am and midnight, or call 101 anytime.